Saudi Arabia has retained its seat on the executive council of the World Tourism Organization (UNWTO) for the Middle East region for the third time in a row, said a report. 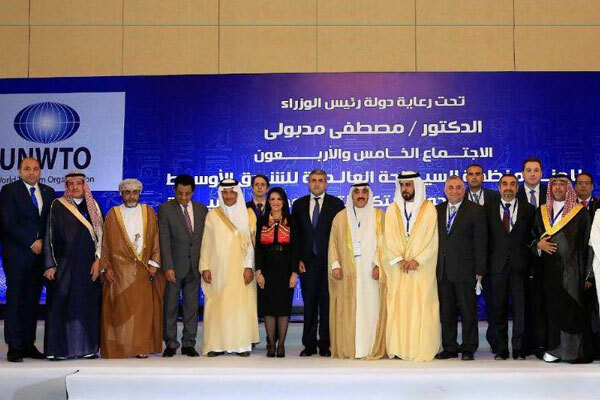 The announcement was made during a UNWTO regional committee meeting held in Cairo on Sunday, in which Saudi Arabia also participated, the Saudi Press Agency (SPA) reported. The country was represented by the Saudi Commission for Tourism and National Heritage (SCTH) and the delegation was headed by Ahmad bin Aqil Al-Khatib, who is chairman of the SCTH board of directors, it said. The kingdom’s place on the UNWTO executive council is in line with the tourism aims of the leadership’s Vision 2030 reform plan — to transform Saudi Arabia into a global tourist destination. On the sideline of the meetings, Al-Khatib held bilateral meetings with a number of officials including the secretary-general of the UNWTO, Zurab Pololikashvili, and Egypt’s Minister of Tourism Dr. Rania Al-Mashat, it said.